Delivers brilliant neon pink color in late summer—and is now available in a gallon pot and shipping now. Neon Sedum is a low-maintenance ground cover that thrives in well-drained soil in full sun to part shade. In late summer to fall, dense masses of tiny, starlike, bright neon pink flowers bloom in large, flattened heads that are up to 6 inches wide. Attracts butterflies! Ideal for planting in front borders, along walkways and in containers. 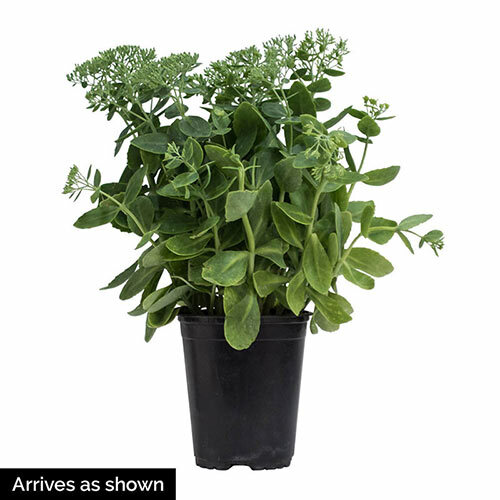 Grows 12-24 inches tall with a similar spread. Drought tolerant. Potted. Zones 3-9. Flower FormDense masses of tiny, star-like, bright neon pink (magenta to deep pink) flowers bloom in large, rounded, flattened heads. PruningRemove seed heads in spring. 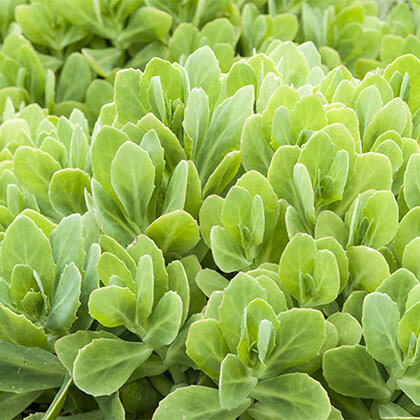 CommentsSo attractive and easy to grow, Sedum is a great addition to the garden. Provides late-season color, when many plants are done blooming. 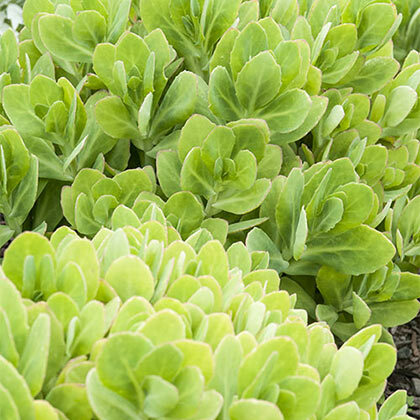 Foliage texture and color make it a great companion plant for other garden favorites like Ornamental Grasses, Coneflowers, Black-Eyed Susans, Russian Sage, and Ornamental Cabbage and Kale. The seed heads provide winter interest and food for birds. Remove them in spring when the new growth begins to show.